Open 24/7 Shujinko is a Japanese noodle house centrally located along Elizabeth Street in the CBD. 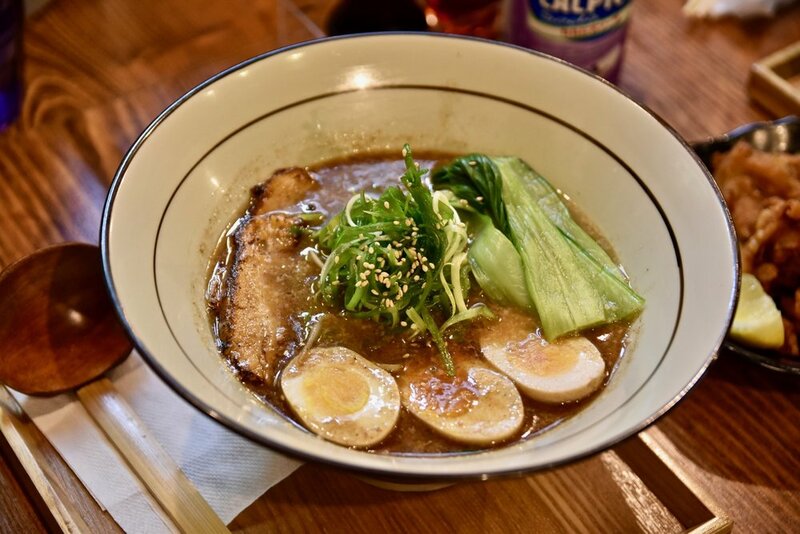 The quality of the ramen offered by Shujinko is some of the most authentic Melbourne has to offer with the noodles and broth made in-house daily. The menu features reasonably priced and amply sized bowls of delicious soup noodles, making this ramen-centric establishment a suitable haunt for economical food seekers at literally any hour of the day or night. There are also delicious sides that will add to your ramen eating experience. We recommend the agedashi nasu – Think deep fried morsels of eggplant laced in subtle dashi sauce. Delicious! On our visit, we were particularly impressed by the Karakuchi Ramen. The slender noodle strands were firmly cooked, and were pleasantly garnished with pork belly and fresh vegetables. The broth is the most vital component of any bowl of ramen as it provides flavour to the noodles. The Karakuchi Ramen broth was delicious. A spicy, thick, cloudy and somewhat creamy concoction of decadently rich flavours. Shujinko is definitely worth checking out if you have not already.